Today’s video from the archives of The Animation Guild is another episode of Martha Sigall’s “Tales from Termite Terrace and Other Tooneries,” features an interview with long-time friends Art Leonardi and Joe Siracusa. Animator and director Arthur Earl Leonardi is best known for his work with Friz Freleng and the Pink Panther, as well as on such shows as Tiny Toon Adventures. 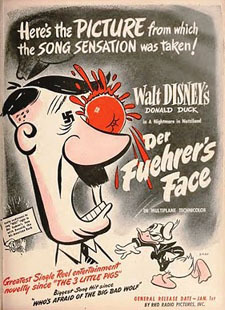 Joseph J. Siracusa spent most of his animation career mostly as a music editor, though it was wider than it sounds. He started out at UPA and later went on to work on such shows as The Transformers, Muppet Babies and The Grinch Grinches the Cat in the Hat. Both came into the industry at the tail end of Hollywood’s Golden Age, and both comment on the subsequent transition to the TV era that followed. Leonardi’s recollections on how he reintroduced the unit system to produce Tiny Toon Adventures, as opposed to the bullpen system, is especially pertinent. 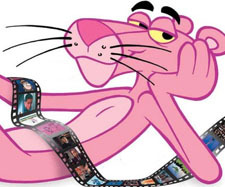 He also goes touches on his animation of title sequences for several Pink Panther movies, as well as providing some anecdotes about making commercials for Lee Gunther. Art Leonardi relates how he started in live action at MGM working on sets, switching to comic books at Dell Publishing under Chuck McKimson; he liked the work there, but not the wages, so he moved into animation. He began as an inbetweener Warner Bros., becoming Tom Ray’s assistant, then animated under Bob McKimson, Friz Freleng and Art Davis. Sigall encourages both to provide some humorous anecdotes about their careers and they very happily oblige, to say the least. Art also animated parts of the unsold pilot Philbert, as I recall..